Enjoy the movies? Then join us on this free movie night. Social Circle brings together people just like you looking to meet others in Manchester to share fun activities and experiences. Your friendly host will personally welcome you to ease any nerves and text you on the day. Don't worry if you're coming on your own - so is everyone else! Calling all film lovers! Whether you are a cinema buff or just want to catch the latest blockbuster, our movie nights are just for you. This is a great way to meet new people in Manchester in a friendly and relaxed environment. 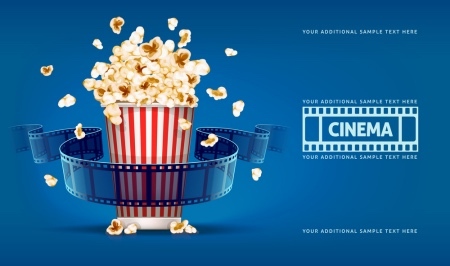 Be the first to see the latest movies with a warm friendly welcome from fellow movie lovers. Here at Social Circle, we offer the best new releases for FREE, meaning you still have money in your pocket when you leave. Set in America in 1962, Green Book tells the heart-warming true story of Tony Lip (Viggo Mortensen), a working-class Italian-American bouncer who takes on a job as a chauffeur for Dr. Don Shirley (Mahershala Ali), a highly-educated African-American classical pianist. The mismatched pair embark on a two-month tour of concert venues in the racially charged deep south and discover they're on the road to a meaningful and unique friendship. "Finally I get to see the films I want without having to go on my own! Wonder Woman was great. Thanks for organising and hosting Steve." Gemma. "I really enjoy the weekly cinema nights. The savings I make from tickets means my membership pays for itself." Dave.